February has seen me visiting Penrith again....better camera and more of an idea what I need to be photographing to capture the intricacies of this Royal castle. 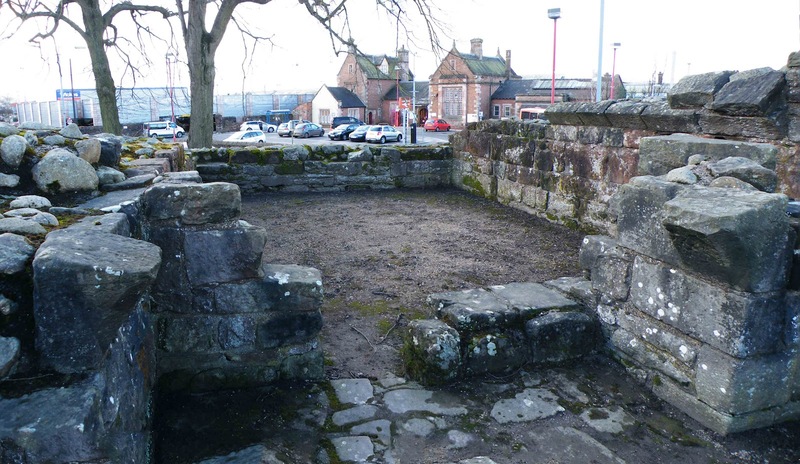 Consisting of three possible building phases, Penrith castle presents us with the fortified residence of a Bishop (William Strickland, Bishop of Carlisle), the home of a wealthy and influential land owner (Ralph Neville), and finally, a castle and home for future King, Richard, Duke of Gloucester. Above. 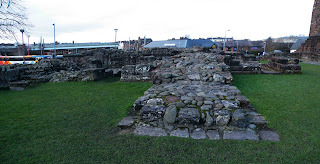 The apartment buildings and remains of the North Eastern gate. The apartments were built along the North Eastern walls of the castle, overlooking the small courtyard at the centre of the collection of buildings and walls. These buildings were built under the tenure of Ralph Neville, sometime between 1396 and 1425 and formed part of the original castle. They are contemporary with the curtain walls on all sides of the castle and the small bridge that would have spanned the moat on the North East side of the castle. Above. The standing remains of the Red Tower at the Northern tip of the castle. 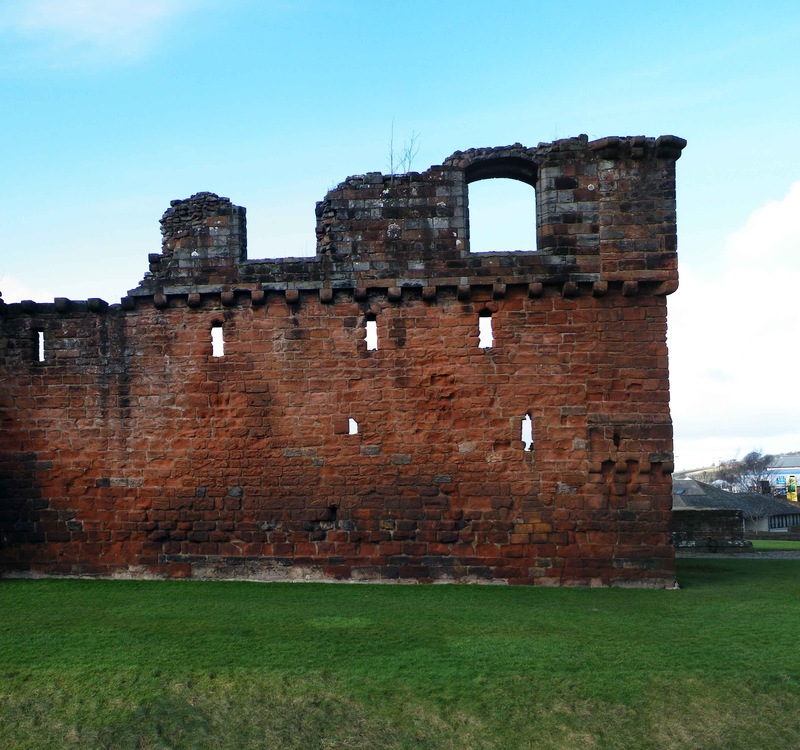 The Red Tower, built at the Northern tip of the castle, dates from the tenure of Richard Neville, and would have been built between 1425 and 1460. Apart from some additional internal walls, this was one of the only parts of the castle to be erected during this time. Above. View of the interior of the White Tower at the North West corner of the castle. The White Tower, at the North West corner of the castle, consists of external walls dating from Ralph Neville's tenure, and internal walling from Richard, Duke of Gloucester's ownership of the castle. This complex of smaller rooms occupied the whole of the South Western side of the castle, butting up against the external curtain walls. Above. Another view of the apartment buildings. Above. Interior wall...about eight feet thick. I think these are the footings of all that remains of an internal wall near the Western gatehouse. At this point, the walls are about eight feet thick, with large blocks on the exterior faces, and smaller rubble between them. Above. Looking North East towards the vault of the Great Hall. 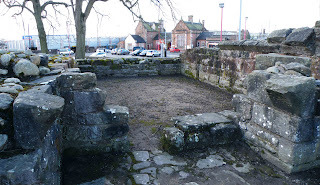 All that remains of the great hall and the tower that overlooked the North Eastern gateway, is this square platform with a vaulted chamber beneath it. This tower would have been about a storey shorter than its neighbour, the Red Tower a few yards away. This tower was built during Ralph Neville's tenure of the castle, and appeared to have the thickest walls indicating that it was possibly regarded as the centre of the castle's defences. Above. The North Eastern wall of the castle. The photo above shows the exterior walls of the Apartments that were built along the inside of the North Eastern walls. There is a single thick buttress in the centre of the external face of the wall, which may have had a small crenellated turret at its peak. Above. Detail of the Southern corner of the Apartments. The photo above shows the Southern tip of the apartments. Here, a large window has been inserted, most likely at a much later stage in the castle's history. The small overhang near the far right hand side of the wall may have originally had some small open machicolations between the bosses. These are now blocked though. Above. North East corner of the moat. 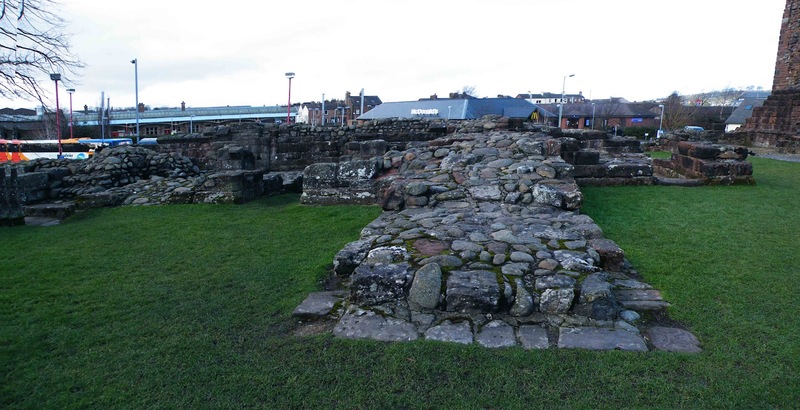 Looking East towards Penrith town centre, the moat survives to a good depth and is very well defined. Unfortunately for us though, the moat only now survives on the North East, the East and a small portion on the Southern corner. Above. The castle from the East, inside the moat. The moat here is about twelve feet deep with gently sloping sides. This would have been a formidable, yet compact castle in its day.